We make a great difference with our work because we take care of problems with excellent drywall repair services, offer the best drywall solutions for house remodeling in California and are fast when our clients need drywall replacement and installation. We have a professional team at “Drywall Repair Santa Monica” and are proud of the great skills and amazing personalities of our staff. When you are searching for a company that can be useful for your tile and drywall repair needs, take a look at our company. Check out our services and be absolutely sure that we can assist you with dedication and professionalism. Ask yourself: do you want a drywall contractor that can be there when you need repair services? Do you want a contractor that can solve all problems without making your life difficult? That's us! We take everything under consideration before drywall removal or installation. We want to give you the best aesthetic results but we give priority to the stability of the property. We don't want to solve one problem and create another one. With our experience and devotion such mistakes are out of the question. In fact, we are the best for house drywall plans, remodels & additions. We draft detailed blueprints, which are studied well before services. We can create a new whole world inside your house or office with our work. Whether you want drywall or tile installation, leave it to us! Do you want the best? 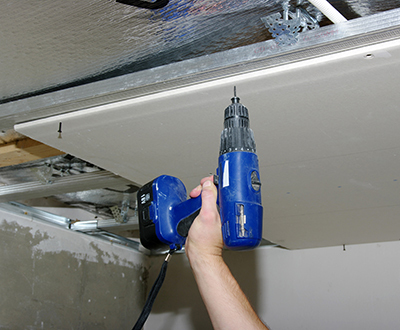 Call Drywall Repair Santa Monica! 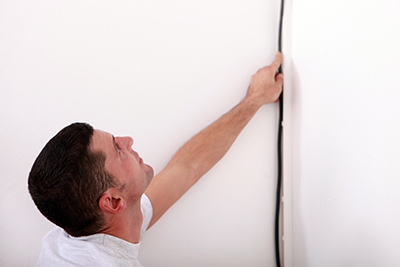 We have top professional drywall and tile technicians and excel in all services. From the installation of tiles and drywalls to the hanging of ceilings in different shapes, you can be certain of the amazing results of our work. You can be sure of your safety and you can be sure of our techniques. Customers can count on us for tile problems and drywall patchwork. It's not only that we can guarantee high quality work but also high aesthetics and full respect to your property. With such wonderful professional teams, your satisfaction is guaranteed! Contact us whenever you are ready to make changes!